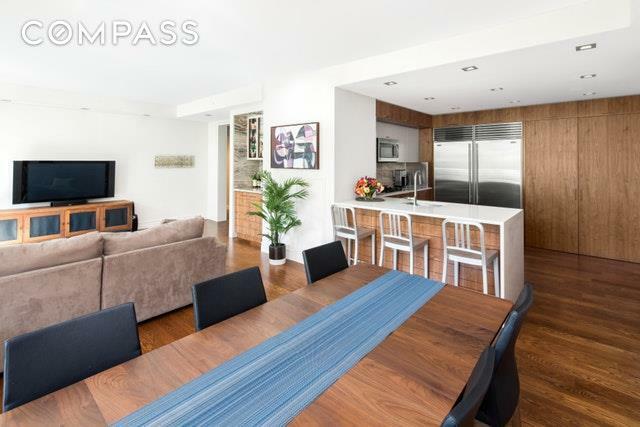 A spacious, 2,000+ square foot, condo boasting sleek finishes and a private balcony. 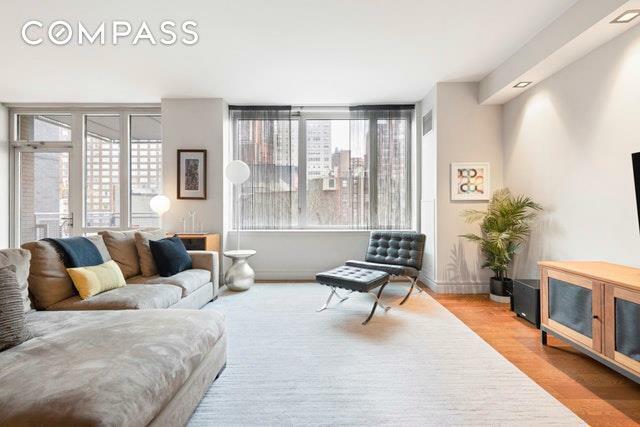 This truly one of a kind 3-bedroom, 3-bathroom home is a pristine portrait of contemporary city living with a sprawling layout. Features of this apartment include gorgeous hardwood floors, airy 9-foot ceilings, large windows with Western exposure, multi-zone central heating and cooling, a separate home office/den area, an abundance of closets, two large private storage cages, and a convenient in-unit washer/dryer. All of the windows face a tree-lined street saturated with natural light. Beyond a tasteful foyer adorned with a large coat closet, the home flows into an expansive, open-concept living room, dining room, and kitchen. The living and dining areas share access to the balcony and a wet bar, complete with a wine refrigerator. 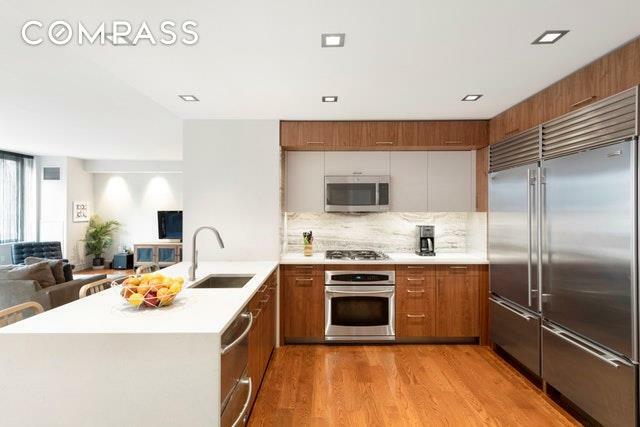 The kitchen is equipped with sleek countertops, a massive pantry, and a suite of high-end stainless steel appliances, including two Sub-Zero refrigerators. The kitchen also includes a desk area, discretely hidden behind large cabinet doors. Just off the foyer sits an extra home office/den with pocket doors and custom built-ins that is spacious enough for overnight guests to sleep in. The master bedroom has two large closets and an immaculate en-suite bathroom with double vanity sinks, a step-in glass door shower, and a separate soaking tub. The remaining two bedrooms each have a private closet space and easy access to a full bathroom. Located in Murray Hill, The Charleston is a luxury condominium that offers residents a host of white-glove amenities. These include a 24-hour doorman, a state-of-the-art fitness center with Pelotons, a live-in super, an outdoor dog run, free WiFi in all communal areas, a fully equipped residents lounge, a separate outdoor BBQ area perfect for hosting private events, and a furnished rooftop terrace with beautiful trees and panoramic skyline views. 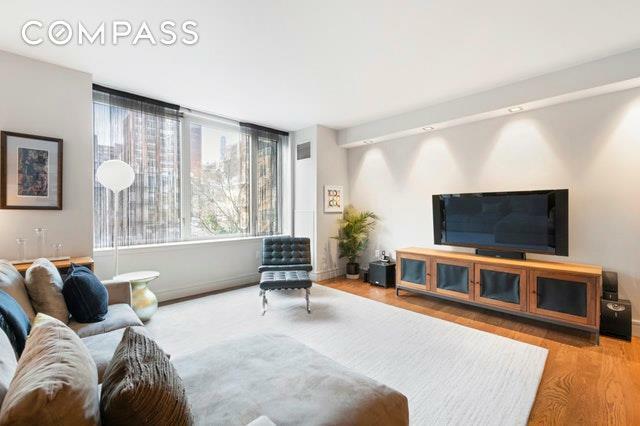 The building is surrounded by many restaurants, shops, bars, salons and grocery stores (Trader Joes and Fairway), and is less than three blocks from the East River. The 6 subway line is less than a 10 minute walk away. Pets are welcome. This is a Compass co-exclusive with Nest Seekers.